Type 1 diabetes (T1D) is an autoimmune disease which causes a person’s pancreas to stop producing insulin. Insulin is a hormone in the body which enables people to get energy from their food. This type of diabetes is caused when the body’s immune system attacks and destroys the insulin producing cells in the pancreas. This has nothing to do with the persons diet and lifestyle choices and it is non preventable. However, it can be managed with the right tools. It can affect both children and adults as people of all ages can be diagnosed with Type 1 diabetes. In order to manage this disease, an individual must carefully balance their insulin levels through a pump and inject themself with insulin multiple times a day. Bloor sugar must also be tested by pricking their finger for blood six or more times a day. Signs for Type 1 diabetes include extreme thirst, frequent urination, drowsiness, increased appetite, sudden weight loss, sudden vision loss, sugar in the urine, fruity odor on the breath, heavy breathing, and unconsciousness. Patients with Type 1 diabetes must manage their blood-sugar levels as they are at a higher risk of having a heart attack, stroke, blindness, kidney disease and amputation. If you notice any of these signs it is important to immediately contact your doctor. Risk factors for developing this disease include family history, genetics, and age. 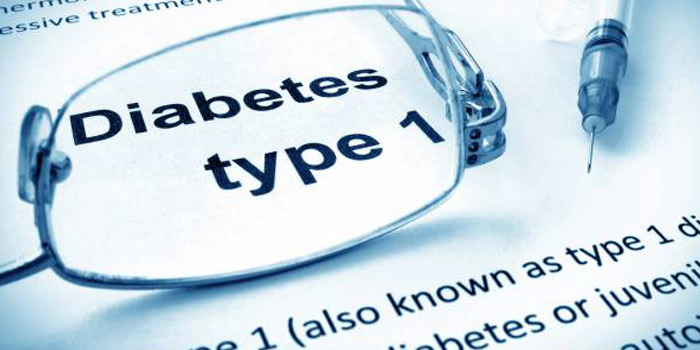 Those with a parent or sibling with Type 1 diabetes have a slightly higher risk of developing this condition. With regards to age, this disease can happen at any age; however peak times are between 4 to 7 years old as well as 10 to 14 years old. Can Type 1 Diabetes be cured completely? Although there is no cure for Type 1 diabetes there are still many ways to manage it. In order to live a healthy life it is important to monitor your blood-sugar levels regularly and deliver proper doses of insulin to yourself. You may also consult an endocrinologist who is trained to restore a normal balance of hormones in your body. Your primary doctor is also very helpful as they conduct general checkups to monitor your health and overall well-being. Furthermore, a dietician is recommended as they are well trained in the field of nutrition. These specialists can help you find foods based on your weight, lifestyle, and medication. What are the Long term effects of Type 1 Diabetes? Diabetes can affect an individual in a variety of different ways. For example, it may cause vision loss which would then qualify under the vision section. For severe casesan individual would qualify if they are considered as blind, even with the use of corrective lenses or medication. To be considered blind the visual acuity in both eyes must be 20/200 or less (6/60) using the Snellen Chart (or equivalent). Alternatively, they are also considered blind if the greatest diameter of the field of vision in both eyes is 20 degrees or less. If your medical doctor or optometrist has answered ‘yes’ to either scenario, the form will ask you to enter the year when your blindness began and your visual acuity/field after correction. How To Apply for Disability Tax Credit for Type 1 Diabetes?